Ancient Korean History - There has been human presence in Korea since early times, the exact period being still debated amongst academics. 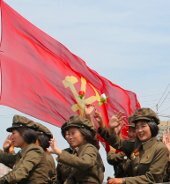 The official news agency of the DPRK claims that "the Korean peninsula has every claim to be one of the oldest cradles of human society in the world" and that "the origin of Koreans coincides with the emergence of human beings on Earth", stating that Korea was inhabited by humans a million years ago. 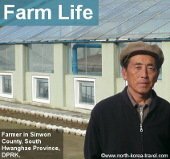 In any case archaeological evidence shows that there has been a long presence of human activity on the Korean peninsula stretching back several hundred thousand years. Paleolithic Period (700,000 BC - 40,000 BC): Pottery and tools have been found showing that the Korean peninsula was inhabited by people during this time. 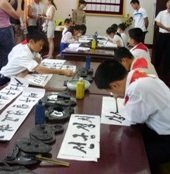 Classes started emerging in Korea by the end of the Bronze age, replacing traditional communal societies. Evidence suggests the Bronze Age began as early as 2500 BC on the Korean peninsula. Please click here to go from our ancient Korean history section to read about one of Korea's strongest kingdoms.